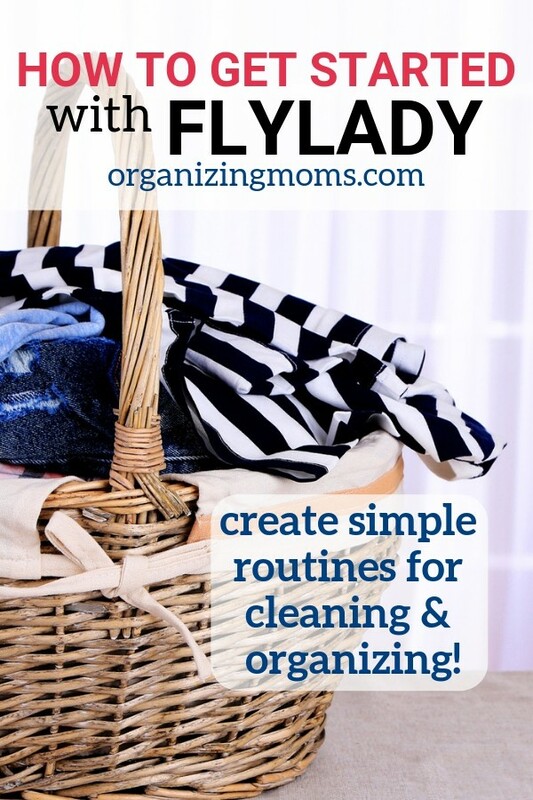 If you’ve been looking for an easy cleaning routine online, there’s a good chance you’ve run across FlyLady. FlyLady (her real name is Marla Cilley) has been teaching people how to clean and declutter their homes for years. Her effective system has transformed homes, and helped people gain control over clutter, mess, and stress. It’s all been available online for years, and it’s free. Most people who have used FlyLady’s system love it. But one thing that really makes it hard sometimes is that they get a lot of emails about the different tasks they need to do throughout the day. People get really excited (in an angry way, sometimes) about the volume of emails. And, in my opinion, some people have use the emails as an excuse not to take action. FlyLady Radio – This is FlyLady talking about her system, encouraging, etc. She’s like a super sweet mom or grandma encouraging you. This is a good first episode to listen to if you want to get Back to Basics. These shows are long and sometimes they go off topic, but they’re great to listen to while you’re doing work around the house. If you don’t like it, feel free to move on after listening for 10 minutes or so. That will be enough to give you an idea of where FlyLady is coming from. FlyLady’s website – You can find all the details of the FlyLady system here. When you start doing FlyLady, she’ll have you focus on one task each day – shining your sink. Over time, you’ll gradually add more to your routines, and you’ll start to really see progress in your home. And, you’ll feel so much lighter when the clutter and mess starts to disappear. Shine Your Sink – Keeping a clean sink is the cornerstone of this program. It sounds goofy, but it does work! Lay Out Your Clothes For Tomorrow – That way, you don’t have to scramble in the morning to find something to wear. Go to Bed Early – You’ll get more rest, and then you can wake up earlier too. Get Dressed to Lace-Up Shoes – Put your shoes on so you can get things done around the house. After a while, the act of putting your shoes on will signal to your brain that it’s time to get to work! Declutter for 15 Minutes a Day – Work at decluttering your home a little bit every day. Looking for ideas? 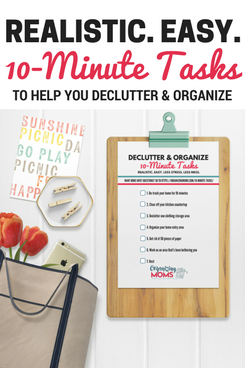 Click here to get a free decluttering checklist each week. Do a 27-Fling Boogie! 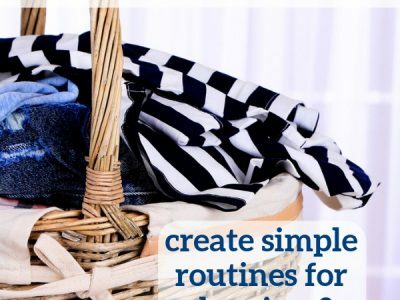 – This is a simple technique to help you declutter. Learn more about the 27 Fling Boogie here. 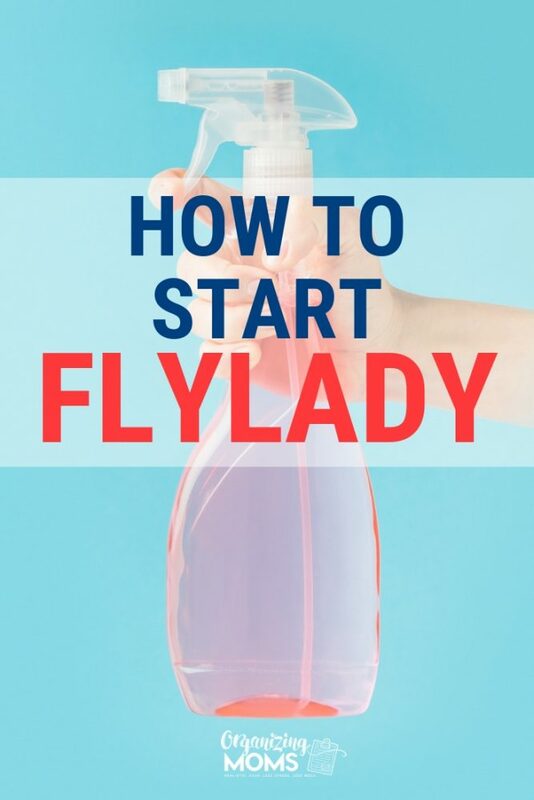 After learning the basics of the system, you can start using my favorite FlyLady tool: the FlyLady app! The app includes checklists for all of your routines, plus tasks for zone cleaning. When I started using the app, I just did the routines. You can edit the routines to suit your individual situation. After I got better at following the routines, I started working on the zone cleaning too. You can also access morning messages from Marla, daily missions, and an “Ask FlyLady” question and answer for the day. And, the app has a little timer built in to it for when you want to do a 15-minute decluttering session! The app is free in iTunes. However, you might want to consider the Cozi app, which I write about below. It does way more, and you can use it to coordinate all of your family’s schedules, to-dos, and even meal plans! What About A FlyLady App for Android? I haven’t been able to find an Android app that’s just for FlyLady, but the Cozi app is a free alternative that does much more than just helping you track your routines and FlyLady-related tasks. If you have a smartphone, you can get the free Cozi app and use it to organize all of your FlyLady tasks. 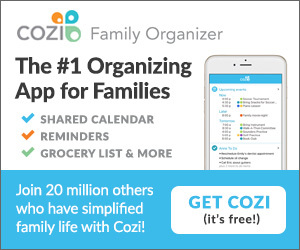 Cozi is a great tool for families – you can use it to keep all of your schedules, to do lists and more in one place. Go here to sign up for a free Cozi account and learn more about how it works. One you have your account set up, follow the directions on this page to add FlyLady’s zones, missions and daily reminders to Cozi. I think the Cozi system is better than the iPhone FlyLady app! 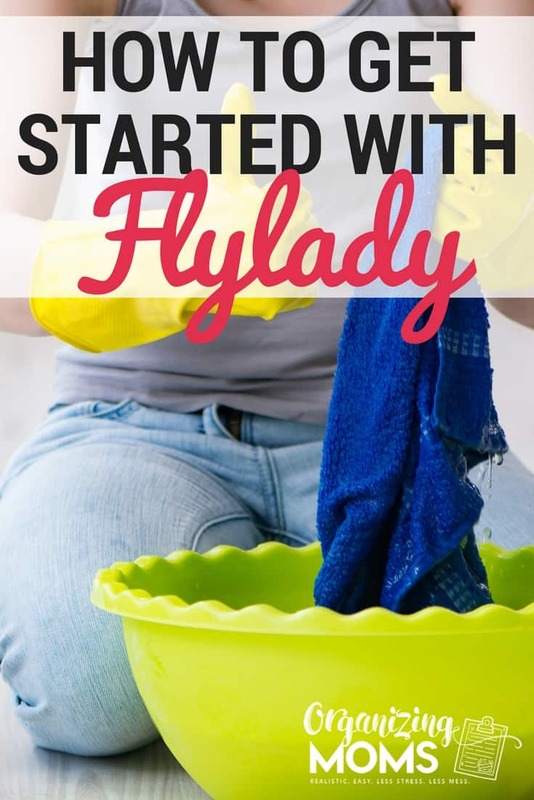 How to Get Started with FlyLady Zone Cleaning – once you’ve mastered the basics, you can move on to detailed cleaning for even more impressive results! Want to remember this? Save How to Get Started With Flylady to your favorite Pinterest board.